The grand finale of the 2018 MXGP World Championship will take place this weekend at the brand-new motocross track built within the stunning ‘Autodromo Enzo e Dino Ferrari’ in Imola, Italy. 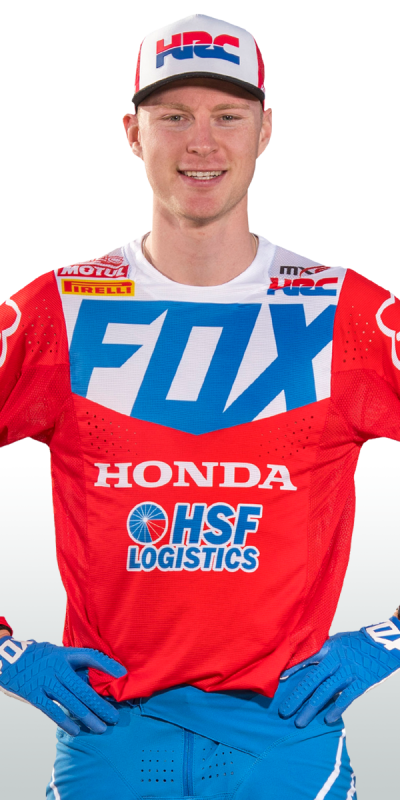 Seventy years ago, the first world motocross event took place at this venue and now Team HRC’s Tim Gajser, Calvin Vlaanderen and Brian Bogers will get a taste of the new racetrack built for what is going to be an incredible event of racing. 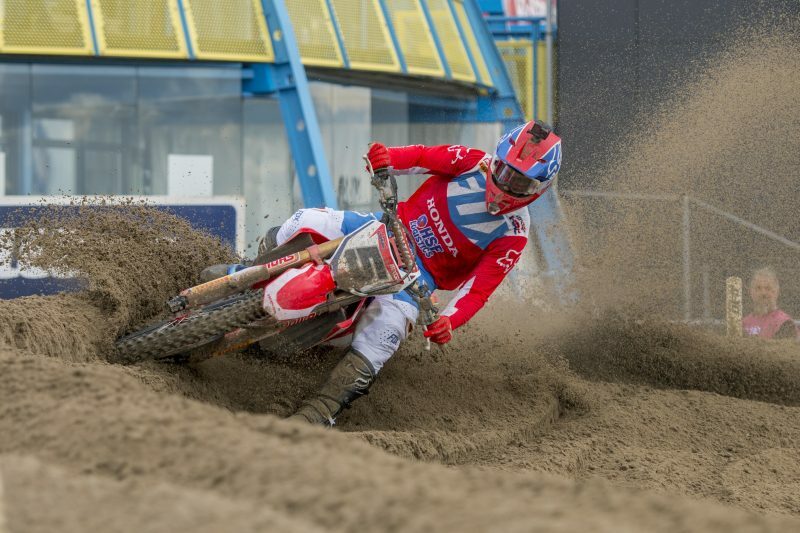 Tim Gajser is happy to return to his beloved hard-pack surface after a not-too-exciting racing weekend at the TT Circuit Assen two weekends ago. 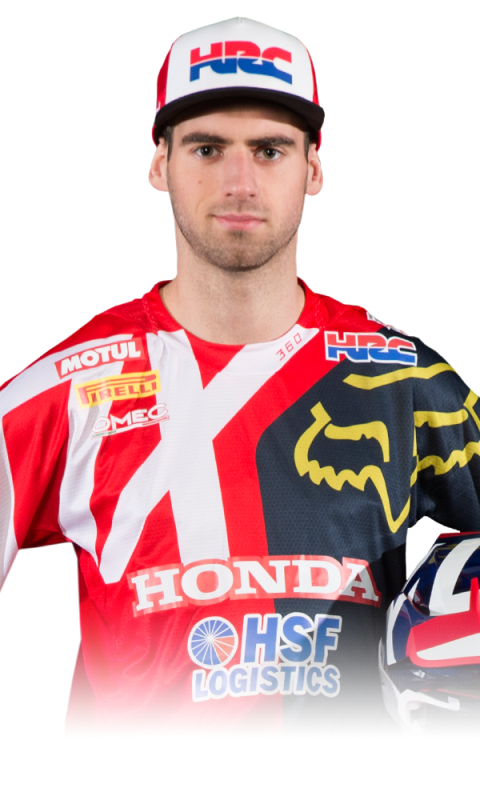 In the Netherlands, the two-time world champion was fifth overall, but he is now looking forward to ending the season in style aboard his Honda CRF450RW while hoping to make a final attack on third place in the standings – currently held by Clement Desalle with a 20-point margin over Gajser. After showing great speed in Holland and coming short of an MX2 podium finish, only due to an unfortunate combination of other riders’ results, Calvin Vlaanderen is eager to improve on his Dutch performance in order to step back onto the rostrum and build some momentum ahead of his appearance at the Motocross of Nations, which will be contested the following weekend (October 6-7) at Red Bud in Michigan, United States. Brian Bogers has surprised many with his MXGP-debut performance at Assen a fortnight ago. 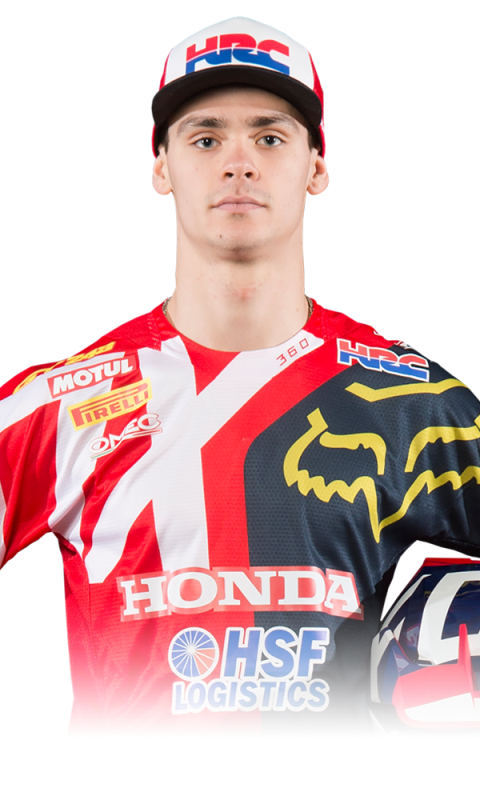 The recently-turned 22-year-old claimed his first world championship points in the category, and now he is ready to attack his second and final round for the season in order to head into the winter break with a good first-hand knowledge of the series, the competition and his Honda machine. Motocross action at Imola will begin this Saturday (29 September) at 11:30 local time (GMT +2) with free practice for the MX2 class, while at noon the MXGP field will take to the track. It’s always nice to go to a new track and from the looks of it, it could be a very good one. I have seen a video of part of the track and it looks fun, a little bit supercross style, but nice nevertheless. It’s hard-pack, so that will surely help me! We’re twenty points away from the top-three, which is quite a big gap to fill in only one round, but we’ll do our best to get a great result and finish the season the best way possible! Imola is our season finale for the year and I’m looking forward to getting back to action. We did quite well in front of the Dutch crowd at Assen despite missing out on the podium, and now we need one really good result to finish the season with the smile and head to Red Bud with great confidence. We have worked hard all season long and we’ve had some great highs and I don’t see the reason why we cannot add one more to the list! I’m ready for this last race, even though somehow the season felt a bit short! Joking aside, we had quite a decent performance at Assen and, even if pressure shouldn’t be there, I hope I will improve my results this weekend at Imola. It will be important to have another race under my belt before the long winter break and I cannot wait to get started. I have kept training hard so we’ll see where we’ll be come Saturday. It has been a long season but somehow it feels strange that it’s coming to an end. It’s nice to go to Imola with our full line-up for the second round in a row, and I’m sure we can expect some good performances from our riders. The track looks good on paper and I’m sure the atmosphere will be amazing, so we’re ready for one last push and hopefully things will go our way! 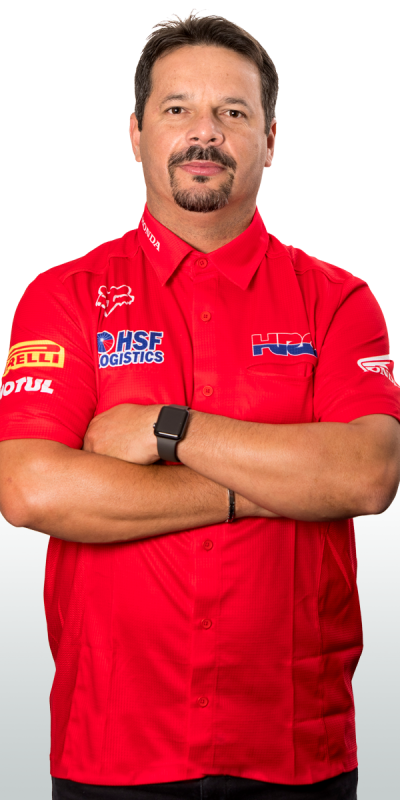 The team will be racing in front of their home crowd so that will surely add some extra motivation – not that they really need it as they’ve been working very, very hard all year long.